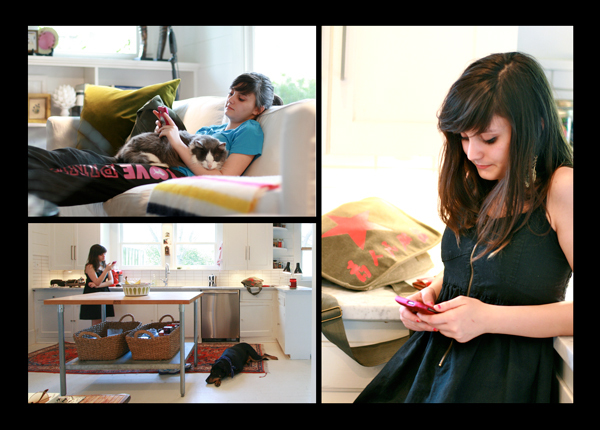 Our family was profiled on Design Mom's series "Living With Kids" today. It turned out great, but this is what most of the photos you didn't see look like. I am going to do a new photography series and call it "Texting With Pets." Follow this link to see Living With Kids: AB Chao. Thanks, Gabby! It was super fun.